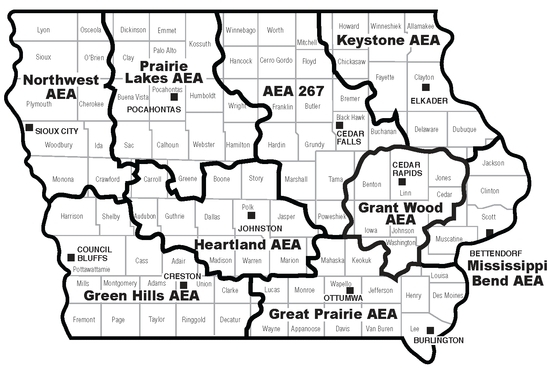 AEA – Area Education Agencies, provide shared services to school districts for children 3 years and up. For example, Speech and Language therapy. Viewing the map: select the Agency link below that services your area.